“Did I leave the clothes iron on?” is a question that the Kasa Smart Wi-Fi Power Strip puts to rest. As The Verge points out, not only does it let you remotely control your lights, fixtures, and appliances through a smartphone app or voice assistant, it also lets you turn the power strip’s six individual sockets on and off at will. This new product from TP-Link pairs with Amazon’s Alexa, Microsoft’s Cortana, and the Google Assistant, allowing hands-free control over your household appliances. “This means you can control any device from anywhere, monitor energy consumption, and more, thanks to the Kasa Smart mobile app,” David Li, CEO of TP-Link Research America Corp, said in a statement. The app lets you know how much energy each device consumes. To conserve energy while you're sleeping or at work, you can schedule when your devices power on or off. 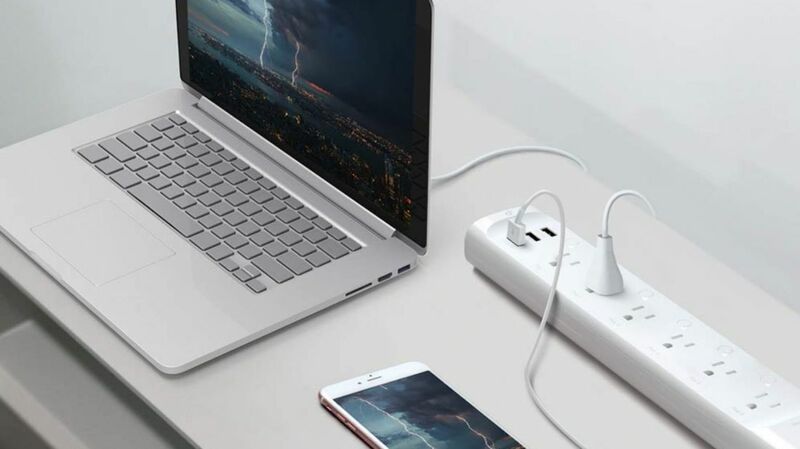 In addition to the six sockets, the power strip also contains three USB ports that remain on at all times. “On top of that, Kasa’s line of smart home products actually work, and its app is fairly easy to use,” The Verge wrote in its product review. The Kasa Smart Wi-Fi Power Strip is currently available on Amazon for $79.99.